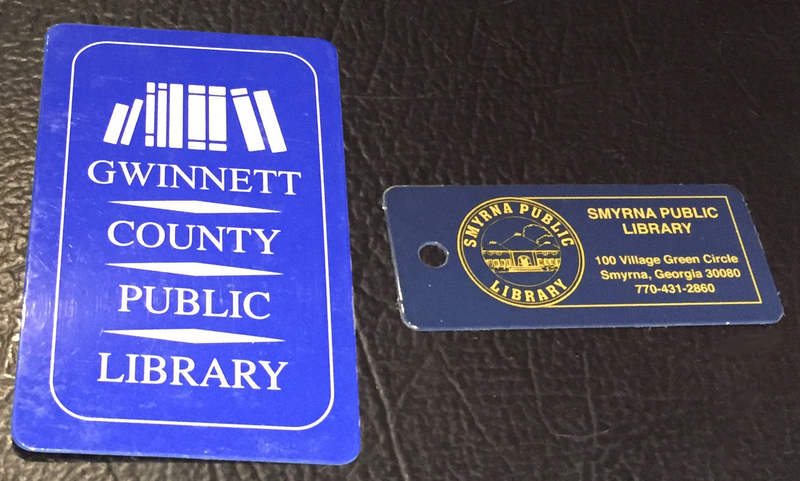 Are you an author or publisher who is ready to get your titles into AUDIOBOOKS? 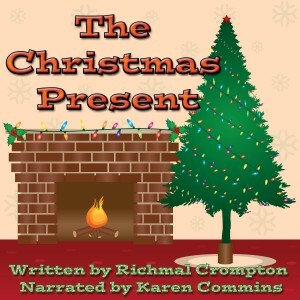 The fantastic info found in this list of links will better prepare you for the task, especially if you plan to use Audible’s Audiobook Creation Exchange (ACX.com) for the production process. If you feel overwhelmed about audiobook production, you may want to cut to the chase and hire an experienced narrator and producer. 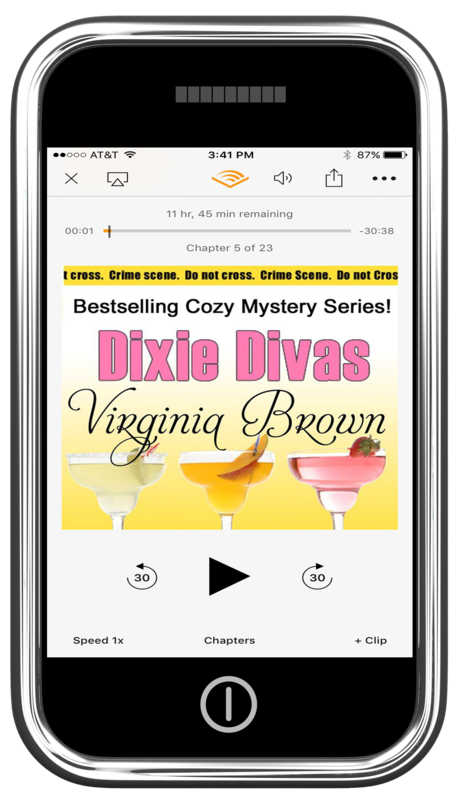 Subscribe to the ACX blog and Karen Commins’s blog for on-going news and features about audiobooks. The resources listed below were found on a variety of sites and are organized by topic. Authors: Want to Create Audiobooks of Your Books? To voice Royalty-Share Audiobooks… or not. That is the question. Don’t be in a hurry to do your whole series at one time. 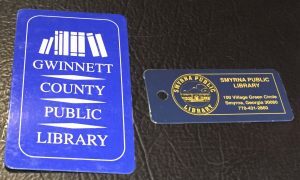 Save the royalties from the first book to pay the costs of the 2nd one. Use the creative exercise described in this article to uncover other sources of funds. 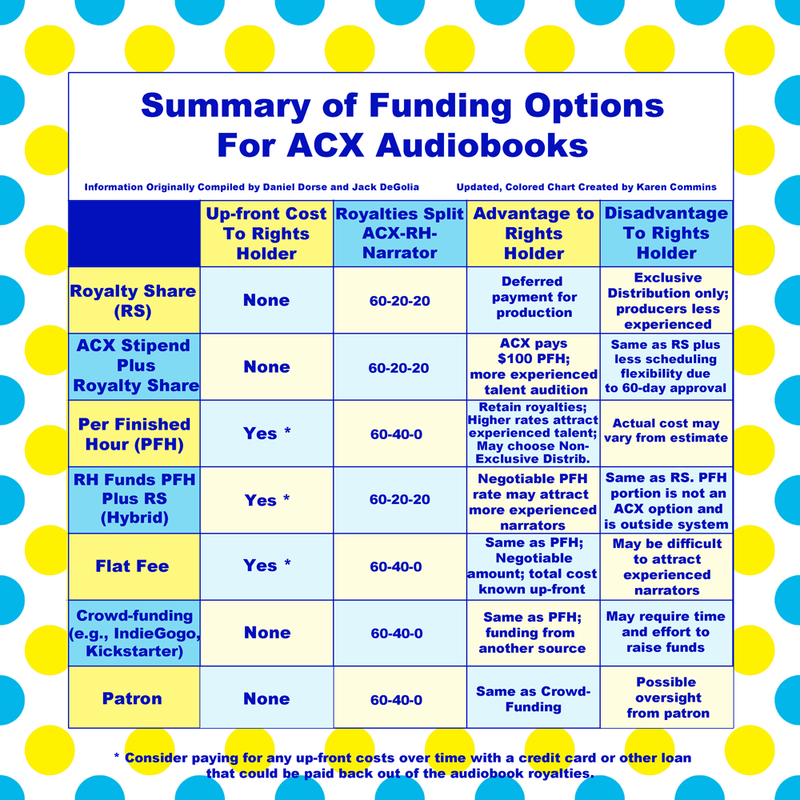 The chart below summarizes funding options for audiobooks created on ACX. Other companies do not offer royalty share option. The biggest problem is thinking of problems as problems. Successful people know that when you focus on problems you have more problems, but when you focus on possibilities you have more opportunities. It’s true. Our thoughts and words have tremendous creative power in shaping our lives. In fact, in one of my first blog posts 10 years ago, I wrote that nothing is more powerful on this planet than the words you think and speak. Everything that exists now was first a thought in a person’s mind. Speaking the thought out loud gives it creative power. That’s great when we’re enthusiastically and excitedly talking about our latest audiobook contract or marketing plans. However, the same principle is at work when we’re animatedly griping about the leaf-blowers in the neighborhood. 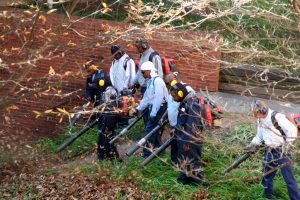 An army of leaf blowers is coming soon to your neighborhood! I can’t count the times when I’ve read posts from audiobook narrators in Facebook groups in which they whine about the external noise from the neighbors cutting their grass, planes flying overhead, nearby construction projects, or any other thing that interrupts their recording sessions. The people bemoaning these (first-world) problems seem to expect empathy from everyone else. If challenged, the complainer would say he’s merely venting off steam with people who understand the situation. Before anyone gets offended at my harsh statement, let me add that I have walked in the naysayer’s shoes. In order to solve my multiple issues with an extremely noisy environment, I replaced all of the windows in my house and custom-built an additional room on my house with soundproofing techniques. More importantly, I don’t respond because constant complaining really goes much deeper and has a more pronounced effect than most people realize. Have you ever noticed that, when you’re sick and you tell and re-tell the story about all of your symptoms to everybody you know, you feel worse with each telling? When I used to gripe about people yakking loudly on their cell phones or children screaming in restaurants, it seemed more and more of them would show up around me. OF COURSE THEY DID! I repeatedly focused my attention and poured lots of negative emotion in my comments about how much those situations annoyed me! I had an epiphany one day when I realized I had been saying, “We are a magnet for obnoxious children” — literally summoning the very condition I wanted to avoid! I’ve learned — not that I’m always successful at it — that I have to keep my attention focused on WHAT I WANT, not what I don’t want. The loud children and cell phone talkers in public are still around, but my reaction to them has changed. When I find myself getting annoyed by them or other irritants, I speak out loud affirmations like, “I am focusing my attention on what I want, which is a pleasant, enjoyable dinner.” Almost immediately, the environment — or at least my perception of it — shifts for the better. Frequent grumbling doesn’t just steal your joy (and that of others around you) in the moment. You can be setting yourself up for an unfulfilled life. Quit your complaining. It’s not the world’s fault that you wanted to be an artist. It’s not the world’s job to enjoy the films you make, and it’s certainly not the world’s obligation to pay for your dreams. Nobody wants to hear it. Steal a camera if you must, but stop whining and get back to work…. …most important, you’re scaring away inspiration. Every time you express a complaint about how difficult and tiresome it is to be creative, inspiration takes another step away from you, offended. It’s almost like inspiration puts up its hands and says, “Hey, sorry, buddy! I didn’t realize my presence was such a drag. I’ll take my business elsewhere. …I have felt this phenomenon in my own life, whenever I start complaining. I have felt the way my self-pity slams the door on inspiration, making the room feel suddenly cold, small, and empty. That being the case, I took this path as a young person: I started telling myself that I enjoyed my work. I proclaimed that I enjoyed every single aspect of my creative endeavors—the agony and the ecstasy, the success and the failure, the joy and the embarrassment, the dry spells and the grind and the stumble and the confusion and the stupidity of it all. I even dared to say this aloud. I told the universe (and anyone who would listen) that I was committed to living a creative life not in order to save the world, not as an act of protest, not to become famous, not to gain entrance to the canon, not to challenge the system, not to show the bastards, not to prove to my family that I was worthy, not as a form of deep therapeutic emotional catharsis . . . but simply because I liked it. So try saying this: “I enjoy my creativity.” And when you say it, be sure to actually mean it.